there was plenty of action during the last few months at Nuki. Time has told us that it’s often necessary to make one step backward in order to be able to make two giant steps forward. Before getting too philosophical I will jump right into the story and give you a comprehensive update on Nuki. 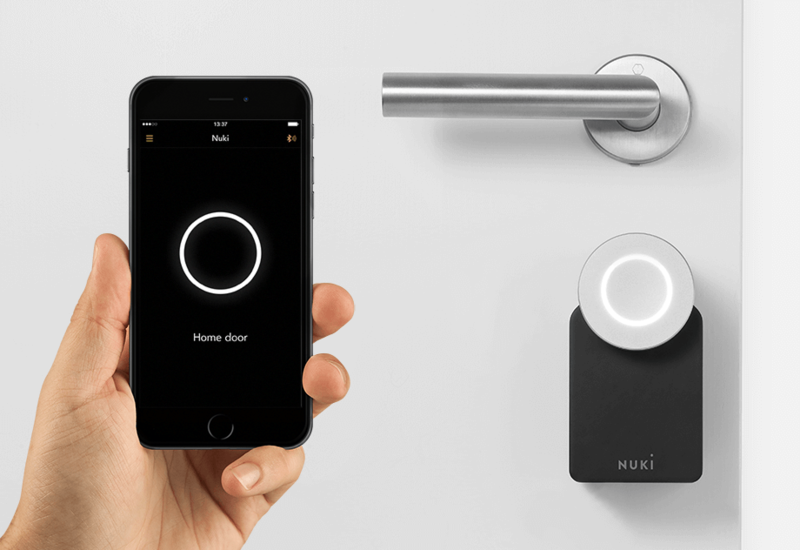 In cooperation with our design experts at EOOS we gave Nuki a brand new design. The main part is a pearl-blasted aluminium-cylinder, which is the optical extension of your existing cylinder. On the front side of the aluminum-cylinder is a button, which is surrounded by a LED-circle. The combination of aluminium as material choice and the clear and cool color temperature created by the lighted LED circle results in an unique design, which gives visibility to the perfection and high quality standards Nuki stands for. Furthermore the aluminum cylinder has a knob, which can be turned by hand to open your door without activating the Nuki engine. Besides the design change, we also significantly optimized Nuki under its surface. For example we adjusted the positioning of the gearbox to have more room available, so that Nuki can also turn stiff locks and we meet our high demands for the durability of Nuki. 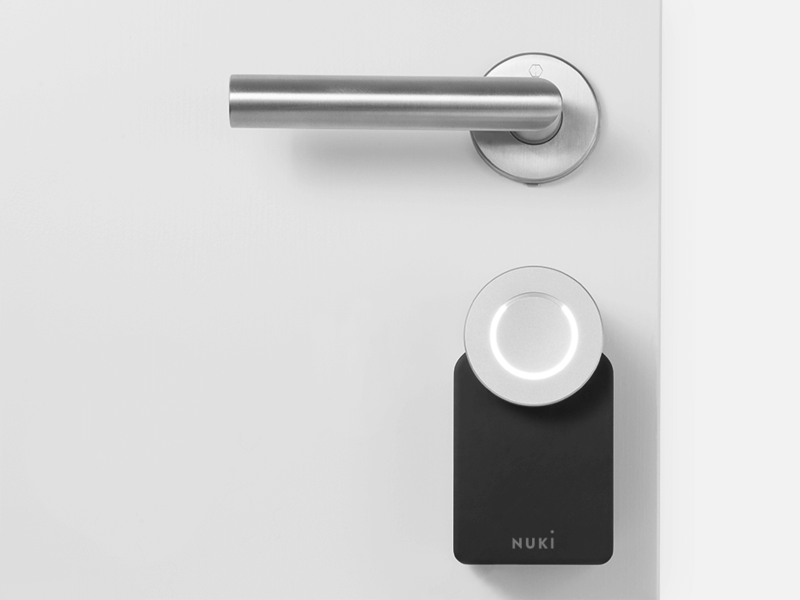 On top of that Nuki now comes with a clutch to enable smooth opening and closing of your door lock with a mechanical key from outside. Finally, to provide maximum stability of Nuki when fixing to your existing lock cylinder we designed the baseplate to be out of metal. We will deliver two plates – one for glueing and one for screwing and it’s up to you whichever way you prefer. 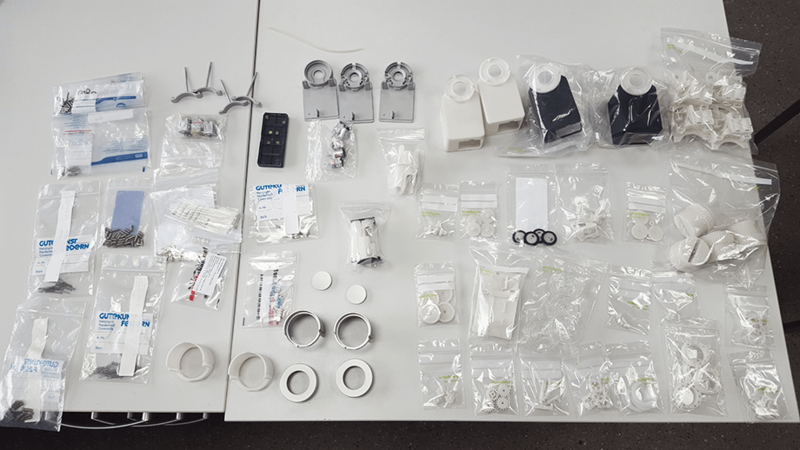 In all these decisions during the past few months we were always looking for the best combination of design, quality and functionality and dismissed the easiest and cheapest solution available. As a consequence, these decisions also have an impact on the cost of Nuki. Our vision is to create the best smart lock for Europe – not just for today – but also in five years. This is only possible if we impress our first customers with excellent quality and not with the cheapest price. Therefore we will raise the price for the Nuki keyturner and for the Nuki combo by €50, which means from €149 to €199 and from €229 to €279. These prices will go live on the 23rd of November at 9am. 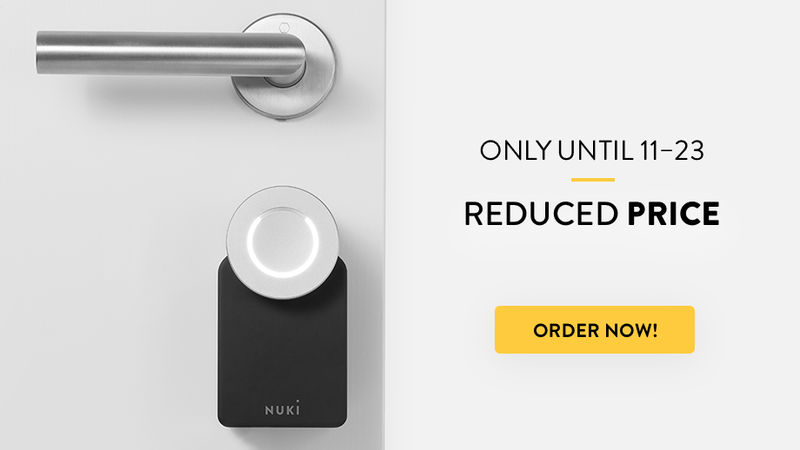 Until then you get the very last chance to preorder Nuki at the reduced early-bird offer. All of you who have already preordered Nuki can be happy as well – you will now get a much more valuable product at no additional cost. We honestly appreciate your trust and your support! The design change has an impact on the shipping timeline for Nuki because we had to go back to scratch in the product development process. As a matter of fact, we are not able to hold the estimated delivery date in December 2015. Our new timeline determines that we will start shipping first Nukis to beta-testers in January (winner of the referral-campaign in May). Starting from February we will then do staged rollouts according to the first-come-first-served principle. So in the best case we are forecasting a delay of two months maximum. Until then we want to ship the Nuki keyturner, Nuki bridge and Nuki fob together with all associated software apps. In the next few weeks we are going to give you more detailed information and more frequent updates concerning our new design, its functionality and any progress towards industrialization. For now we are really excited to hear your feedback. All the best, until the next Nuki update!